Arte Laguna Prize is an international art contest. Arte Laguna has been promoting contemporary art for thirteen years and has collected thousands of applications from artists from all over the world. These artists have been selected by a jury of excellence for the great exhibition in March in the evocative spaces of the Arsenale of Venice. Additionally, participants have the chance to win several awards in collaboration with companies, foundations, galleries, including cash prizes. The property remains of the artists. This is the 13th edition of Arte Laguna Prize. Entries are open. Among this year's news there is a section dedicated to design. The Prize has received a medal from the President of the Italian Republic and the patronage of the Ministry of Foreign Affairs, the Ministry of Cultural Heritagel, the Veneto Region, the Municipality of Venice, Ca' Foscari University of Venice and the European Institute of Design among others. This year the prize opens its doors to design. This change, which is strongly endorsed by the prize management, “is the natural continuation of the growth of Arte Laguna Prize and the expression of the blurred boundaries between design and art that we have been observing for a long time” states Laura Gallon, one of the founders. The design section, supported by Antrax IT a company that produces designer radiators, will have a jury created ad hoc, that will include Alfonso Femia, architect, Danilo Premoli, architect and designer, and Igor Zanti, curator of the Prize and director of IED Venezia. Artists can submit proposals for furniture or furnishing accessories that enrich the housing experience where the visual component is predominant. With the inclusion of design, there are now ten categories to which artists and creatives can apply until Novemebr 27th, 2018: design, painting, installation and sculpture, virtual art, digital graphics, photographic art, video art, and short films, performance, urban art, land art. The other sections of the competition will be evaluated by international art experts selected on the basis of their curriculum and their expertise: Flavio Arensi - director of the museums of Legnano; Filippo Andreatta - Theatre-maker and co-curator of Centrale Fies; Mattias Givell - co-director of Wanås Konst in Sweden; Eva González-Sancho - co-curator of the first Oslo Biennial in 2019; Simone Pallotta - curator of public and urban art; Richard Noyce - writer, scholar and art critic; Enrico Stefanelli - artistic director of Photolux Festival, Lucca; Alessandra Tiddia - chief curator at Mart Museum of Trento and Rovereto; Vasili Tsereteli - director of the Moscow Museum of Modern Artt; Maxa Zoller – film curator at Art Basel and artistic director of the International Women's Film Festival of Dortmund. 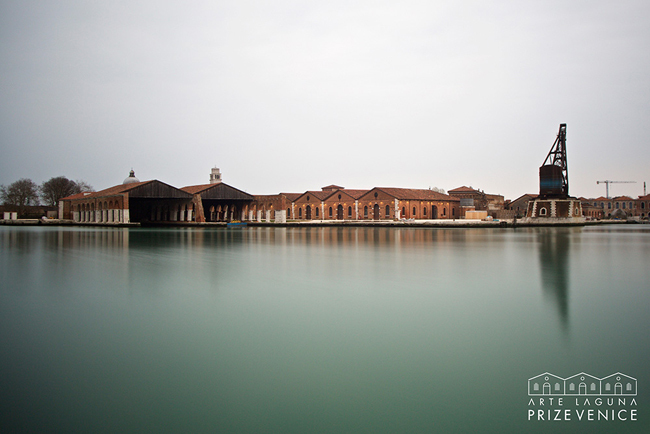 The jury will be selecting the works of 120 finalist artists from the different categories, which will be exhibited from March 16th to April 7th 2019 at the Arsenale Nord of Venice. Among the works on display, the jury will identify six absolute winners who will be awarded the cash prizes for a total prize money of 42.000€. For more information and terms and conditions, please visit the Event Website. A program of art residences in Italy and abroad to allow an artistic experience of growth in contact with a new environment or a new culture, to create new works and to participate in new activities in a multicultural environment. The residencies are assigned to nine artists and are: GLO’ART in Belgium; Basu Foundation for the Arts in Kolkata; Espronceda in Barcelona; Farm Cultural Park in Favara, Sicily; Maradiva Cultural Residency, in Mauritius. From this year also Lanificio Paoletti in Treviso, Open Dream again in Treviso, Centrale Fies in Trento and Nuart Festival in Norway have been involved. Collaborations with companies meant to connect creativity with the production sector. This year artists will have the chance to use the precious fabrics of Tessitura Luigi Bevilacqua of Venice to create a new artwork; win 2.000€ by presenting an artistic proposal designed for the enhancement of the spaces of 47 Anno Domini winery; be awarded with 2.000€ by submitting works or graphic proposals to be applied to the packaging of the confectionery products by Fraccaro Spumadoro or win 2.000€ by presenting to Maglificio Giordano's artworks linked to the fashion world. Organization of 4 exhibitions in international Art Galleries, including setting up, vernis-sage and catalogue. The venues are: Galerie Isabelle Lesmeister in Germany; Várfok Galéria in Budapest; Anise Gallery in Londra; Jonathan Ferrara Gallery in New Orleans, United States. Selection of 13 artists for participation in collective events in Slovenia at Art Stays Festival, in Beijing with the events organized by Art Nova 100, in Venice with the exhibitionTraVellArt organized by Arte Communication and in Lucca with the participation in Photolux Festival.